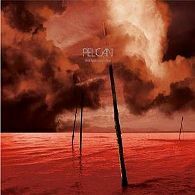 Chicagoan post metal instrumentalists Pelican had a tall task ahead of them when it came to topping their 2007 magnum opus City Of Echoes. Merging all their varying strengths the album was a momentous accomplishment for the band. Upon the first few spins What We All Come To Need pushes some more boundaries and from this vantage point, given time like wine the record will only become better and better. Striking harmonies beckon the commencement on “Glimmer”. You can still hear some ambience, with hypnotic leads swirling vividly around. After only being 7 minutes into the record, you’re already entranced. But despite the voyages into airy vibes that they’ve so effectively utilised in the past, Pelican still bow down at the altar of the riff. An assuaging balance is struck between the two. From the get go What We All Come To Need never loses sight of its goal which is to, simply put, wow you. There’s a droning Sunn O))) like intro on “The Creeper”, so it wouldn’t come as a surprise that guest guitarist on the track is one half of the Sunn O))) anomaly, Greg Anderson. It seems that the guest spots on this record have poured their creative juices on this stuff. Isis’ Aaron Turner also features, on the title track. That said, both songs still retain that wholly unique Pelican sound. “Ephemeral” makes a return here, being the title track from the EP released earlier in the year. It nestles up nicely with the new material and is doused with a new vigour. “Specks Of Light” then emits meandering and hook laden riffs only to break down to a sweetened mellow section and slowly and dramatically climb back up to its towering stance. This whole album gorgeously interweaves itself around varying moods and tones. These eight tracks are an eclectic blend of crushing riffs with dizzying and lusciously soaring climaxes. Crescendos loftier than mountain tops are the order of the day for What We All Come To Need. What We All Come To Need’s title track then treads on that life affirming quality that Pelican have so superbly harnessed throughout their career. For closing track “Final Breath” there’s a shocking but utterly engrossing development. Vocals. Yes, you read that right; another collaborator on this record is Allen Epley of Shiner and The Life And Times. It elegantly passes through its wraithlike verses and Epley’s delivery is nothing short of heart stopping as it oozes with melancholic sensations. This record is stunningly beautiful yet appealingly heavy when it needs to be. It’s all rather excellent, no… really it is.